The most exciting part of being a teenager or a single is having a crush on someone. 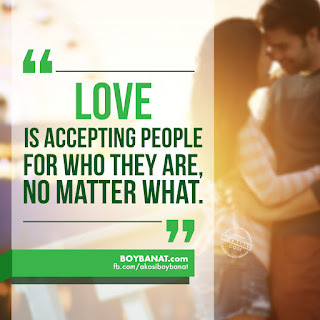 When you like someone, you tend to do all things just to get notice or just to talk to that person. Everytime you see him/her, you're having a bunch of butterflies in your stomach and when he/she smiled at you it feels like that your blood is rushing to your cheeks and ears. You really can't contain your happiness whenever that person is in front of you but you're clueless of what he is thinking about you. That is really frustrating, isn't it? You actually have this stalker instinct and spend your time staring at them far a far or followed them on their social media accounts and downloaded all their pictures there and post them on your room. Whenever they are with somebody in school or they are just talking with a friend you really get jealous and that's pretty obvious. Actually, you are forgetting that he/she is just your crush and you don't have to feel that way because there is no "us" between you and that person. How many times you tried to be nice as much as you can because you think that it will increase the possibility of him to like you, too? think that we’re just not ready for forever. Dear Crush, I know that you're looking at me. I'm not oblivious; I just don't know how to look at you. There were days when you can't sleep for so much excitement knowing that you'll see him again tomorrow morning along the hallway. Those sleepless nights leave you growing bags under your eyes so you try to hide it with concealer. 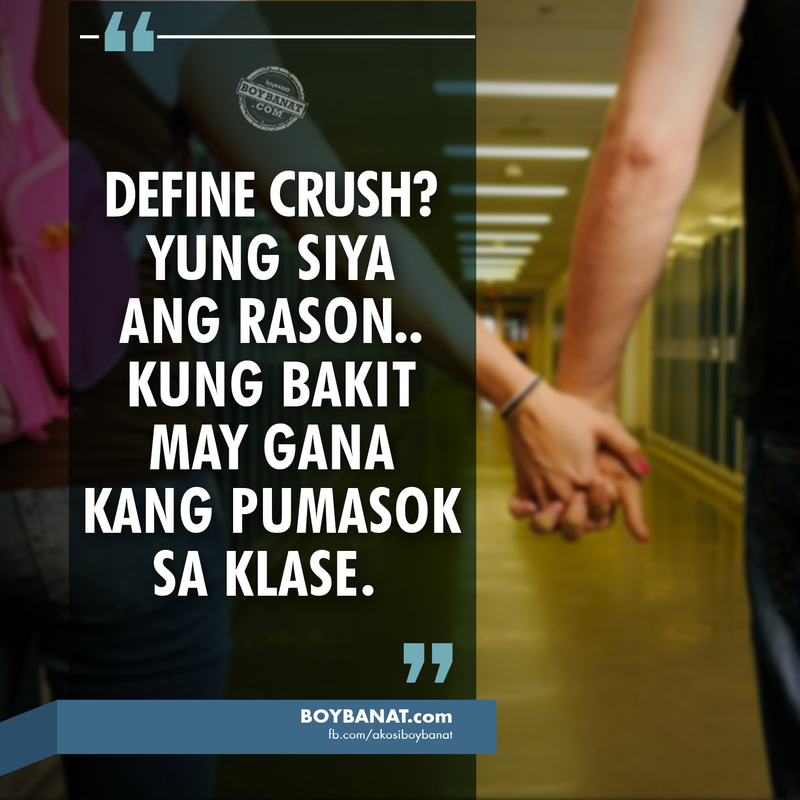 Your crush is the "reason" why you're always excited to go to school. You would love to see him everyday and becomes an inspiration to do better in the class. He love’s her more than he would ever show. But love hurts the most when the person you love has no idea what so ever. everything about them becomes beautiful. I would say once because you never really left. Sometimes, you're just contented with a glanced at him. And you're wildest imaginations will start to play in your mind and that gives you an ounce of courage to talk to them. But whenever he's near you, your tongue betrays you and your knees will start to shiver. You can't even say a single word so again you lose all the chances of having him indulge in a conversation. Worst is, you get pretty little clumsy and start panicking because you don't know what to do next. I can't stop myself from liking you or thinking about you you are the first thing I think of when I wake up and the last time I think of before I go to sleep. What he is thinking when he talks to me. so can you please stop beating so fast when he comes by. of 4 months. If it exceeds, then you are already in love. Relate much? We understand you and we all have crushes. It's really hard to tell a person how much you like him/her and fear that things may not fall into places the way you want. 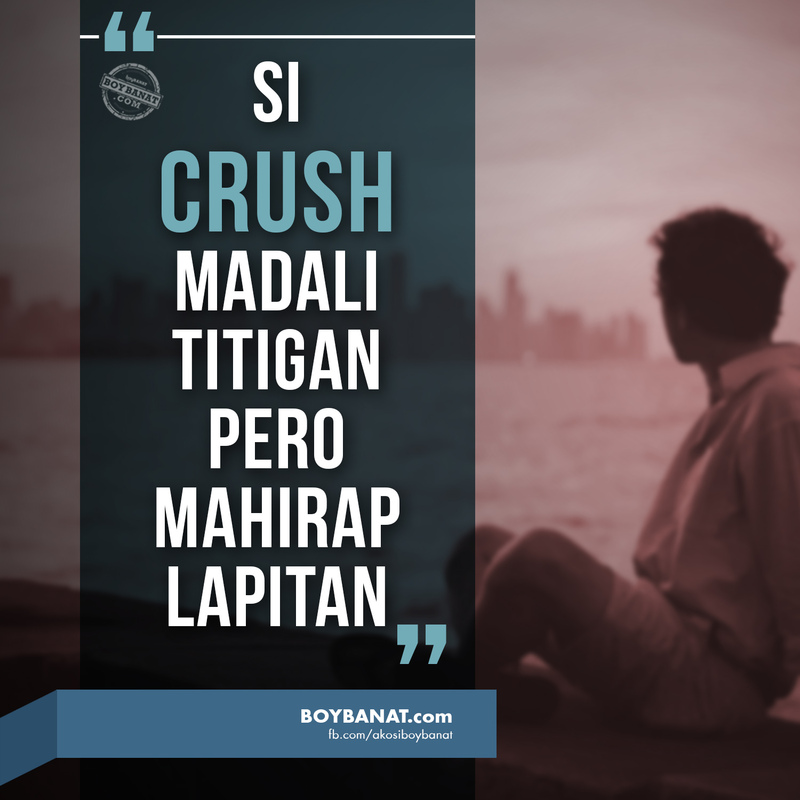 More crush quotes or if you have your own Tagalog Crush Quotes share it with us and better stay connected at www.boybanat.com for upcoming reads. 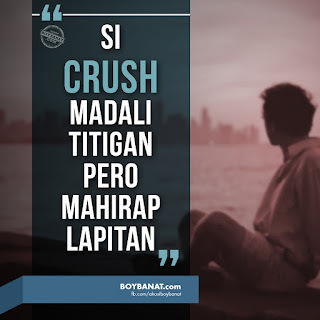 My Perfect Quotation in Crush: I have a crush to both of You Monico Jebulan and Alvin Umali please Marry me.